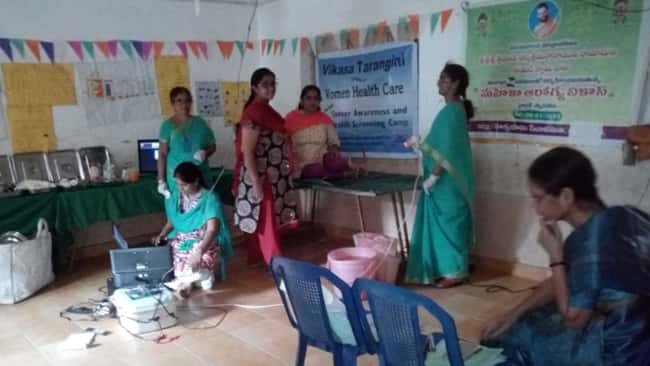 A Mega health camp was conducted on 25th Nov’18 at central Jail, Warangal by our VikasaTarangini volunteers. A special team of specialist doctors, jr. doctors, paramedical staff, medical representatives and VikasaTaragini volunteers conducted free consultation and checkups in Cardiology, Internal Medicine, GeneralSurgery, Gynecology, Opthamology, Neprology Dermatology, Pulmonology, Dental Surgery, Orthopaedics to all the 960 prisoners and 100 jail staff who attended the mega health camp. In addition to this free 2D Eco, ECG, blood Sugar, Lipid profile, bone density and pulmonary function tests were conducted and medicines worth Rs. 1,50,000/- were disctributed. Dr.Muralikrishna , his team and our Vikasatharangini volunteers organized the mega Medical camp successfully with the cooperation of Sri Muralibabu Jail superintendent and his staff. 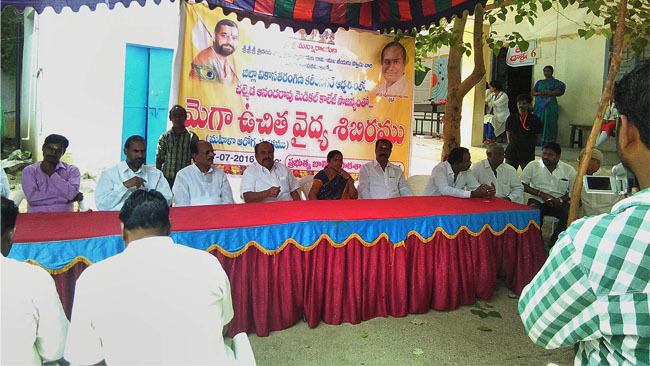 Special thanks to the doctors Dr.Batchu Muralikrishna (physician) Dr.kamalamanohar Rao (physician), Dr.S.Venkat Ram Reddy (Gen surgeon), Dr.B.Radhakrishna(Orthopedic surgeon), Dr.B.Veena. (gynaecologist), Dr.Mallikarjun(cardiologist), Dr.Ananda Rao(ophthalmologist), Dr.Rakesh. (Dental surgeon), Dr.Sateesh (ENT), Dr.Anil(Dermatologist-), Dr.D.Ramesh (Neuro physician), Dr.Srinivasa Varma (pulmonologist) , VT volunteers and other staff, because of whom VikasaTarangini could spread its wings to serve.